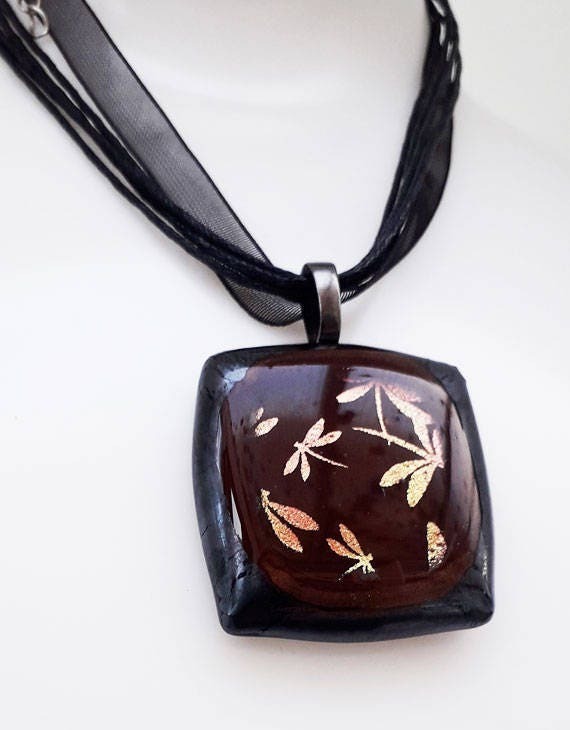 Dragonfly pendant, red, black and pink/gold fused glass. 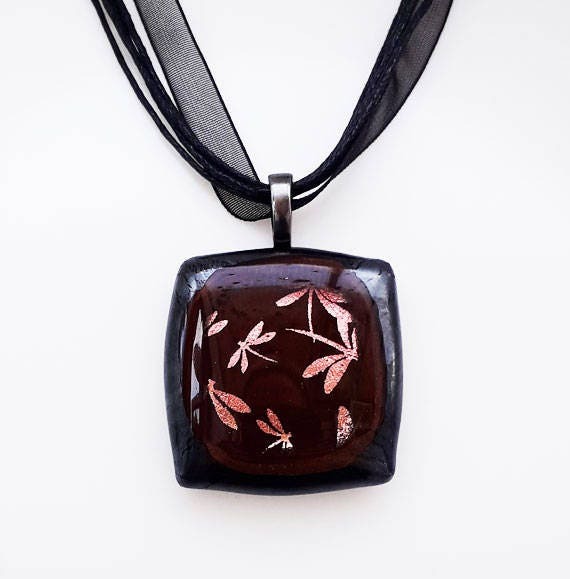 Square pillow shaped pendant, made from black and red fused glass. 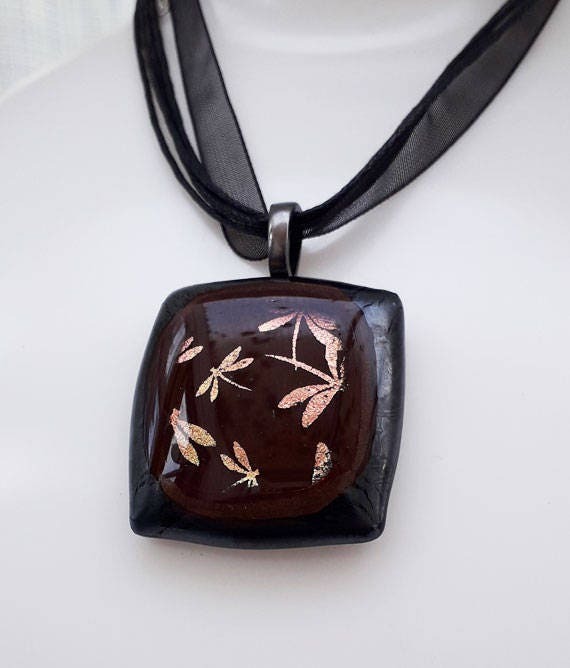 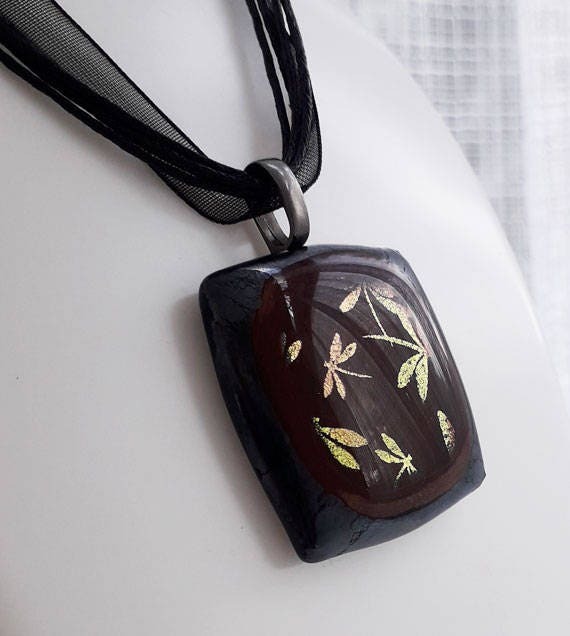 The black section has an iridescent metallic finish, and the red centre has a dragonfly design in pink and gold dichroic glass. 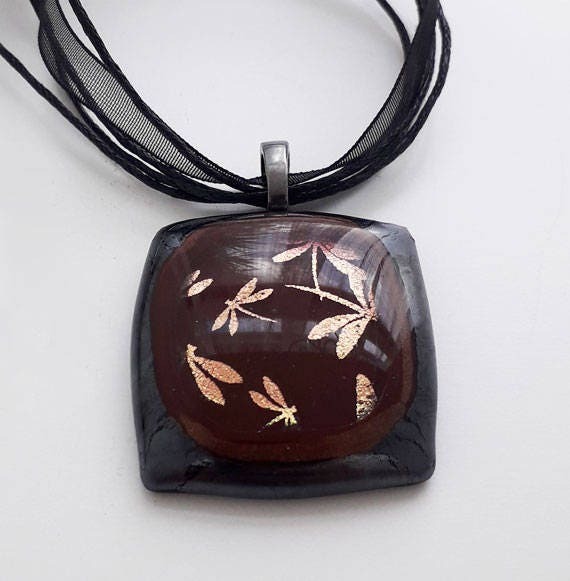 The dichroic glass changes colour as you move it round in the light - it's pink when viewed front on, and if you tilt it to the side it shifts to gold. 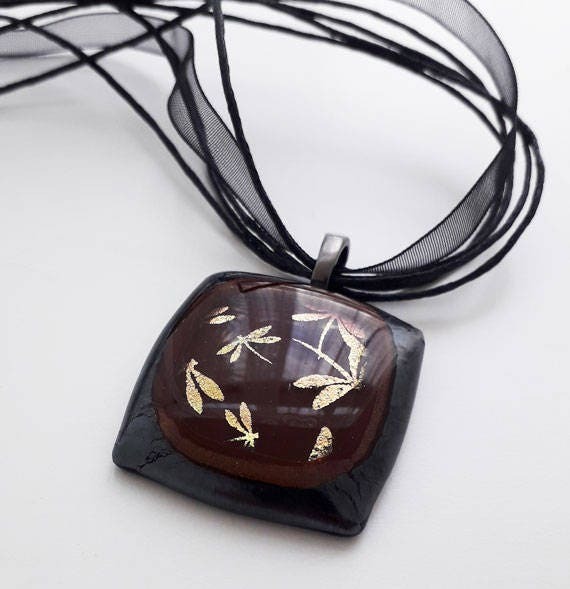 It's about 34mm square, and hangs from a gunmetal bail, on an extendable ribbon & string necklace.